Can be used from newborn to four years old rear facing. We have used this car seat from day 1 with our little boy. The newborn part of the car seat ensured that my little boy was safe and secure in the car seat . The car seat reclines and although others have said that it doesn't recline enough I've not had any problems when using the newborn insert and also the wedge. Now my little boy is 12 weeks old the newborn insert has been removed ( and this was done with ease) he looks safe and secure with just the wedge. I do still however use the newborn head insert part to ensure that his head doesn't slouch or get strained if he falls asleep. Now I've got used to putting my little boy in the car seat I can do with ease! All in all a good value car seat and that keeps my little boy safe and secure.! Overall this is a good product but we did have a major issue when trying to take our newborn home from the hospital. To be fair we hadn’t fully read the instructions prior to using but normally these things are fairly intuitive. First issue was that the newborn insert is no good for a 9lb baby. Second extending the straps while sitting the baby in. I’ve since discovered that the length extends as the head rest lifts. This is not that helpful when you are only 1 day into motherhood, shattered and scared that you might hurt your baby. Extra length to get the arms in would have been a big help! Fantastic seat, only fault we have found is that in rear facing mode it does not recline enough and my daughters head would flop forward when she fell asleep. I put it down to her being quite petite. Other than that, perfect seat!! It looks really good and it is i size. It looks really good and the quality is great! I bought it as we do have some long journeys with family in different parts of the country! It also appears comfy. There are lots of different inserts that you can mix and match depending on their age etc but it can be quite confusing to know which is best. Also, the recline is not that reclined and babies head drops forward frequently. The straps also seem to fall off my daughters shoulders no matter how tight you have it or which inserts you use which is a major concern (please see image). The leg straps do seem to dig in too so it is best to make sure baby has something on their legs i.e not bare legs but tights or leggings etc! My daughter has been using since she was 5 weeks old so it can be used from birth, however I would say that this car seat is better suited for older children due to the little recline. I am contemplating switching to a different car seat because of the complaints I have. I think for the cost of it I would recommend choosing a different car seat. Brilliant car seat. My daughter has been using this car seat since she was one. It's easy to use. Sturdy, comfortable and has a baby insert. The recline on the rear facing is excellent, not as good when forward facing as little one also drops her head. This is the only negative I have. All material is removable and washable. Brilliant car seat, easy to install and take out. Recline positions are easily changed and love the longer rear facing option. Seat is comfortable and easy to put little one in. Only issue is if he falls asleep his head often falls forward even in recline position. Definitely would recommend. Although when reclined it still looks quite upright my lg has never had any problem falling asleep! She always looks comfy and the seat is well padded. The various inserts are easy to remove when baby has outgrown them. I like that I can keep my lg rear-facing for longer in this seat. The height of the headrest is really simple to adjust. We bought this car seat when my daughter was about a year old as we wanted to keep her rear facing as long as possible. It’s a good seat, feels safe and is easy to use. When my son was born we felt that the seat was too upright for him to use straight away but once he was able to hold his head better we were back to loving the seat again. Some people worry about rear facing kids being uncomfortable but both of mine were rear facing until they were 3.5 and my son is very tall! All over a good seat but just not great for newborns. 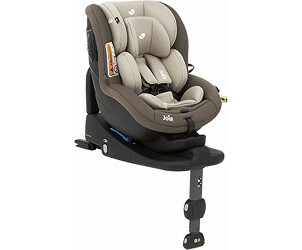 I absolutely love our joie i-anchor it's a comfortable, sturdy, easy to use car seat. It's safe and secure my little boy loves being in the car and looking out the window in his seat. Its easy to.change between forward and rear facing, harness is easily adjusted and it's full of padding. It's also a very nice looking car seat. 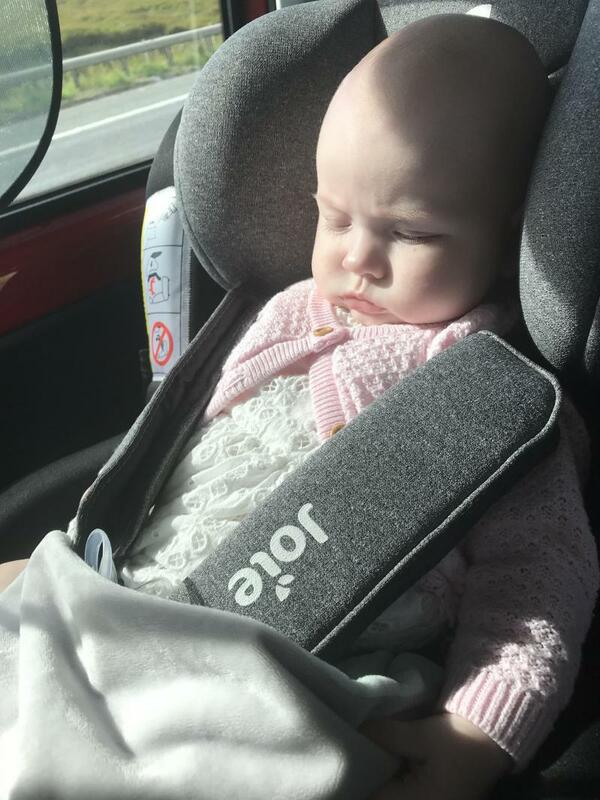 The only thing I have ever had a problem with is the head flop which this seat is known for when your baby is asleep it doesn't always happen because of the price after purchasing the seat and isofix it can be frustrating I purchased a head strap for my little one and haven't had any head flop since. Would definitely recommend this product. I have grown to love this car seat. When we first bought it I didn't - purely because the lack of support for babies head when sleeping. The tilt on the seat isn't very big at all so you can't really angle baby so that head is supported. Can be both forward & rear facing. Easy to put baby into the car & to get her back out again. She feels safe within this seat. I love this seat, my little girl looks so comfy in it. She never moans or cries while in the car since having this seat. It has several reclining positions, the space she has while rear facing means she can rear face safely until 4! Can be used from newborn with the insert as well. Won't use any other seat now! This car seat is generally overall okay, the only thing I will say is the recline isn't a recline, more of a slight difference of sitting upright, this results in my son's head flying forward every time he sleeps, which results in me having to put a blanket under head or having my partner sitting in the back holding his head. 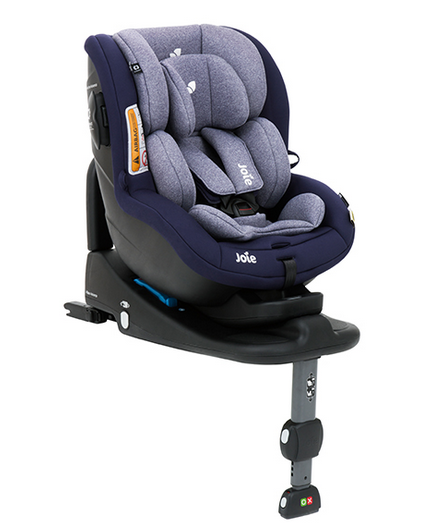 The straps are good, comfortable and easy to adjust with the child as they grow, the seat has an insert which means it is suitable from birth, however with the head issue i am having with my son and lack of recline, I would advise this is used when the baby is mostly awake it the car and not sleeping most. Easy to use, very strong never had a problem easy to strap in, it is bulky but it does fit in most cars fits in mine (3dr corsa). We had an offer an this seat as a bundle and thought it was great value for money as it came with the isofix base and the ease of installing it in our car was unbelievably easy my son loves it he has from 1st use I like how the seat has little slot things to attach the buckle when not in use to make it easier to strap children in and also the amount of rear facing leg room. We will get this seat again for my youngest son when he's old enough. We did a Lot of research into our next car seat for our son. To us his safety in the car was paramount. I-size was new to the UK market and at the time this was the only seat available. Reading the safety testing and the research behind child seating positions using this chair was the best purchase we could make. Chair was comfortable and easy to fit into the base. The base was bit more fiddly and difficult to take in and out of car. Bought this for my 2 year old when he was 6 months old and he still loves it has plenty of room for his feet even while rear facing it’s so easy to strap him in and get him out and the fact that it’s isofix just makes me feel like he’s extra secure!! I recommend it to anyone who is looking to buy it!! Straps and fastening are very fiddly. Takes some getting use to. Lovely looking car seat with adjustable padding which can be removed as your child grows. We've had this car seat just over a year and I still struggle to do it up sometimes which is its biggest downfall. Once done though it's a sturdy seat. Moved my son into this after he got too heavy to carry in his baby seat. It’s a very comfortable seat and easy to strap him in. Does only work with isofix base but I wanted that for safety. Great seat. Very comfy, safe and nice and high up for the curious babies. Only down side is that although it recliner, depending on your car seats and their angle it may not recline as much as you think/want it to. I really like our I anchor and would definitely recommend it to others for value for money. We travel long distances to visit family and baby is always very comfortable in it. Easy to fit only disadvantage is it is a very big car seat but I feel my child is very safe in it so it's maybe not a bad thing. 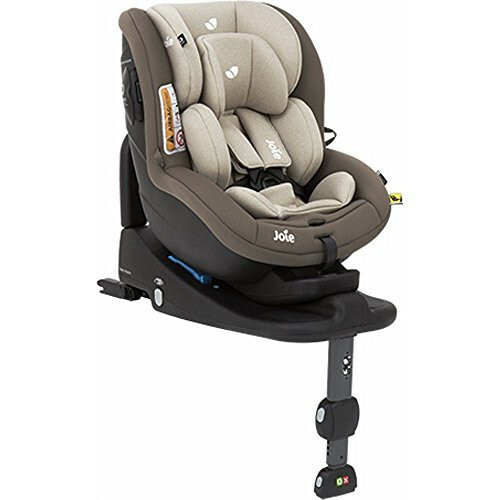 The Joie i-Anchor Advance car seat, used in conjuntion ISOFIX Joie i-Base Advance (sold separately), allows your child to travel for longer ( up to 4 years old) in the recommended rearward facing position. Switch from rear to front facing with the simple press of a button. Forward thinking style, comfort and safety are all assured with the i-Anchor Advance car seat. Extended rearward facing car seat. If preferred the seat can also be used forward facing from 15 months to 18.5kg (approx 4 years).